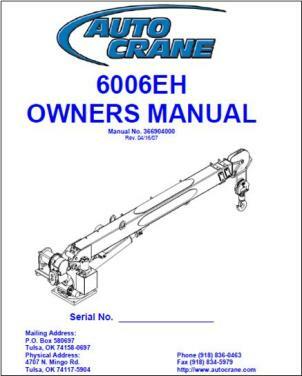 Look Up Your OEM Auto Crane Parts Information in the Current Auto Crane Models Owners Manuals Below. 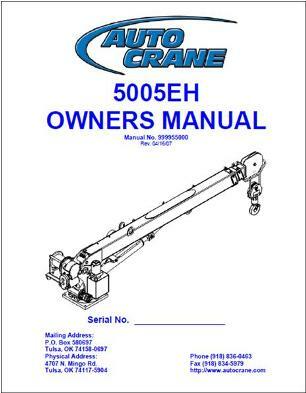 If You Need Additional Assistance Identifying the Correct Parts for Your Auto Crane Model, Please Contact us. 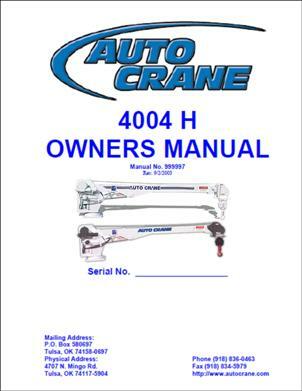 If you would like to verify the compatibility of a specific Auto Crane Part# with your Auto Crane Model (or Identify the Correct Auto Crane Part# needed), Please Contact us with your Auto Crane Model & Serial#, Prior to Ordering. 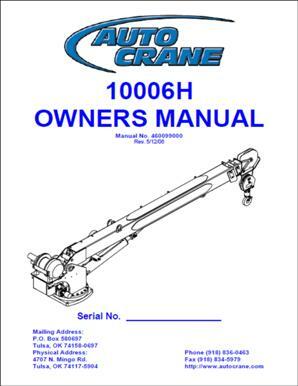 We strongly encourage Serial# Referencing & Verification, as it is the most reliable way to ensure you receive the correct Auto Crane Part. It will also help us collectively avoid unnecessary expenses associated with incorrect orders & returns (i.e. Shipping, Restocking fees, etc. 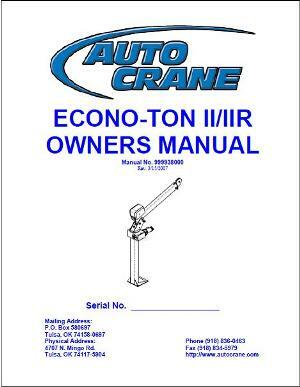 SEE RETURN POLICY FOR FULL DETAILS). 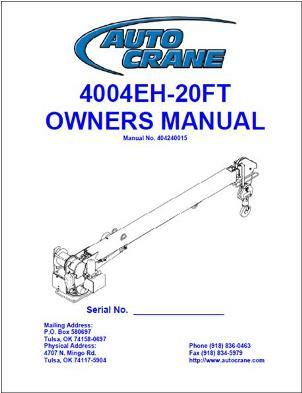 If you do not have an eBay account but would like to place an order for an Auto Crane part you saw listed on our eBay store, please give us a call or send us an e-mail. 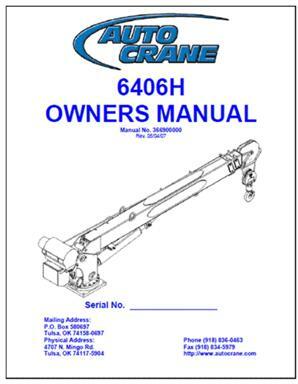 Please remember to reference the Auto Crane Part# in your message. 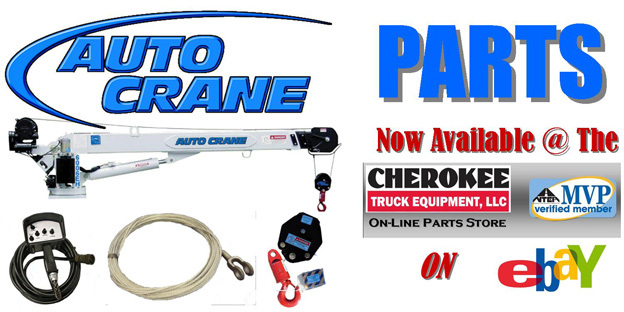 Cherokee Truck Equipment is an Official OEM Auto Crane Dealer. 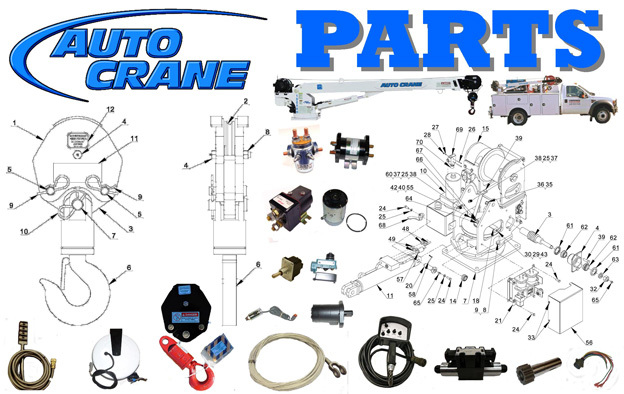 We Keep a Good Amount of Auto Crane Parts In-Stock. 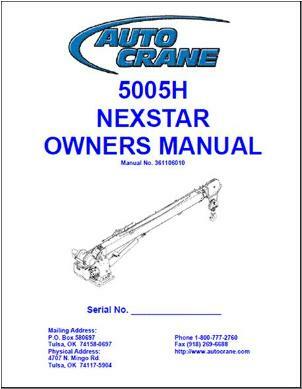 In Stock Parts Can Be Shipped the Same Day of Order. 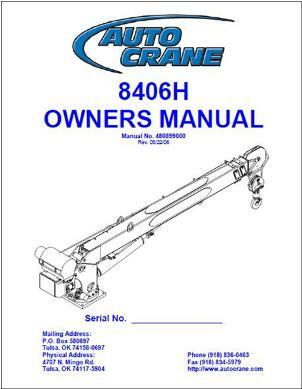 Additionally, We Are Usually Very Successful In Tracking Down Any OEM Auto Crane Part & Can Drop Ship Items That We Do Not Have In-Stock Direct to Your Shop, Worksite, or Other Location of Your Choosing. 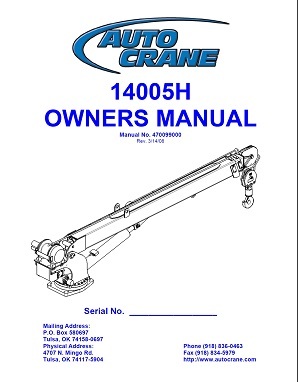 Service Work for Your Auto Crane Model, We Can Help with That Too! We have a Location in Atlanta (Mableton), Georgia (Exit 12 off I-285 West/Exit 46 off I-20 E) & Chattanooga, TN (Exit 174 off I-24). 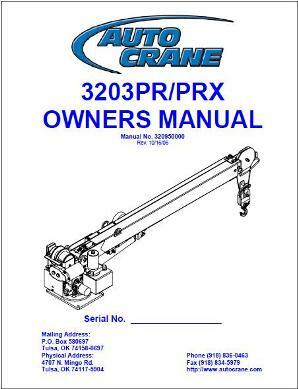 Also Offer a Mobile Service Truck That Can Come directly to You in the Field.